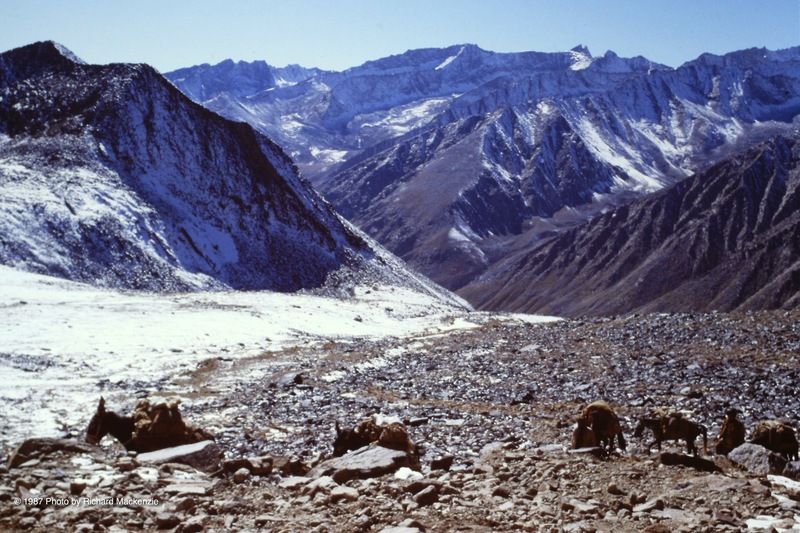 The last week or two, getting from Kantiwah to the edge of the Panjshir Valley went quickly. Or at least as quickly as slogging over monster mountain ranges can ever go. I can only thank my horseman, Rahman Baig, for the quick passage of time. He was endlessly helpful and endlessly cheerful. As I looked at my beaming friend, as I inhaled the air, and gazed at bowing poplar trees, I understood what he was saying — and why. We stayed the first night with a family in a big house on the side of the mountain, isolated and with no other homes in sight. The man of the house was kind and welcoming. He and Rahman Baig seemed to have a lot to talk about. The next day we left early, trekking with our horses through a small village or two until we came to a house that was clearly a mujahideen military base, what they called a karagah. It was there I was introduced to Saranwal Mahmoud Khan. A steely, beefy man, he is a graduate of the law school at Kabul University. He is at this time the Emir of Panjshir. It is soon obvious he rules his troops with organization and discipline as stern as his gaze. I could only begin to imagine what fate awaited these two as a young mujahid sat by our side, taking notes and writing down the names of Syed Mohammad and Suffi Moussa in a big book. As I looked across at Rahman Baig, I thought I saw him shudder. That subject apparently closed, Saranwal Mahmoud Khan began describing what Massoud’s mujahideen are facing, an estimated 3,000 Soviet troops along with 8,000 Afghan Army communist forces in seven bases and six smaller posts. All these forces, he said, were in defensive positions, making them vulnerable. At the time, it’s hard to imagine that the Soviet Union would lose any ground in Afghanistan — despite the mujahideen’s optimism. 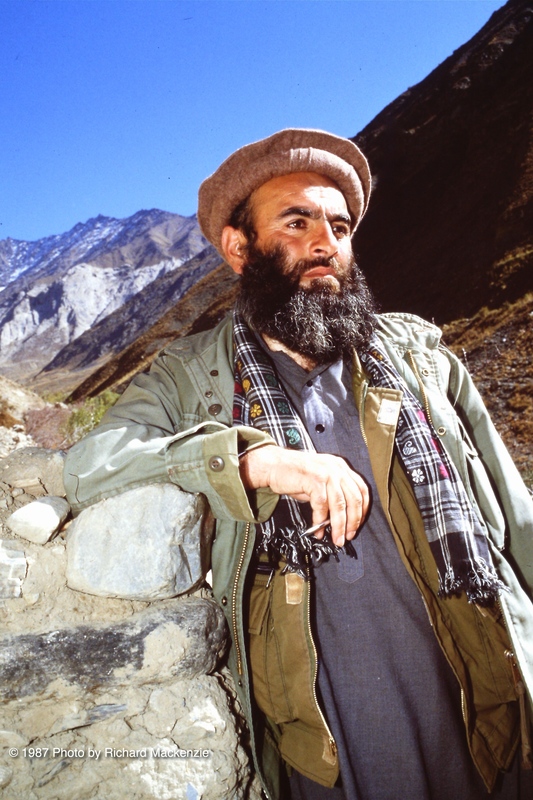 Saranwal Mahmoud would not say exactly how many mujahideen defended the Panjshir — but did say there were 18 karagahs. Right now, he said, he was busy, preparing to send scores of mujahideen 40 miles north, a four-day walk across Anjuman Pass to the Kochka River valley. It was there I would meet Massoud and his young assistant, Dr. Abdullah. It was there I would join the Central Command of the resistance in the North of Afghanistan. Rahman Baig and I then set out for his hometown, a small region near the northern tip of the Panjshir named Parion. Saranwal Mahmoud Khan — then the Emir of Panjshir, reporting to Ahmad Shah Massoud. 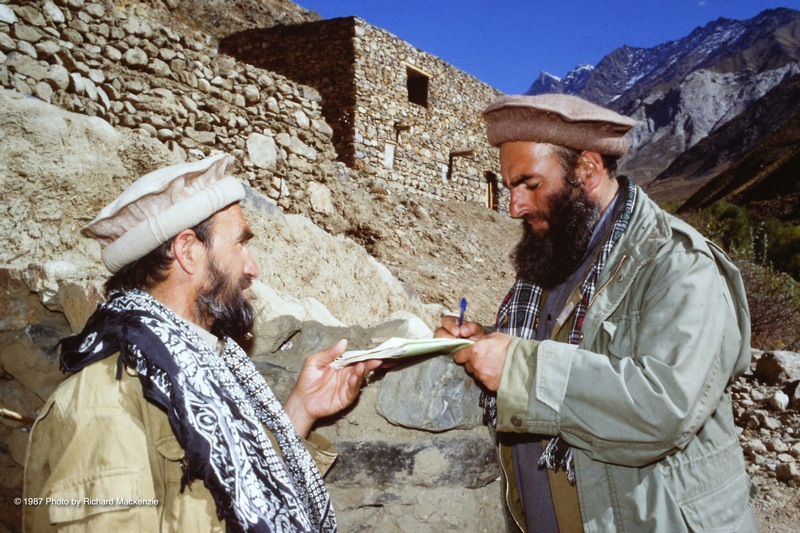 Saranwal Mahmoud Khan — Emir of Panjshir with an aide in 1987. 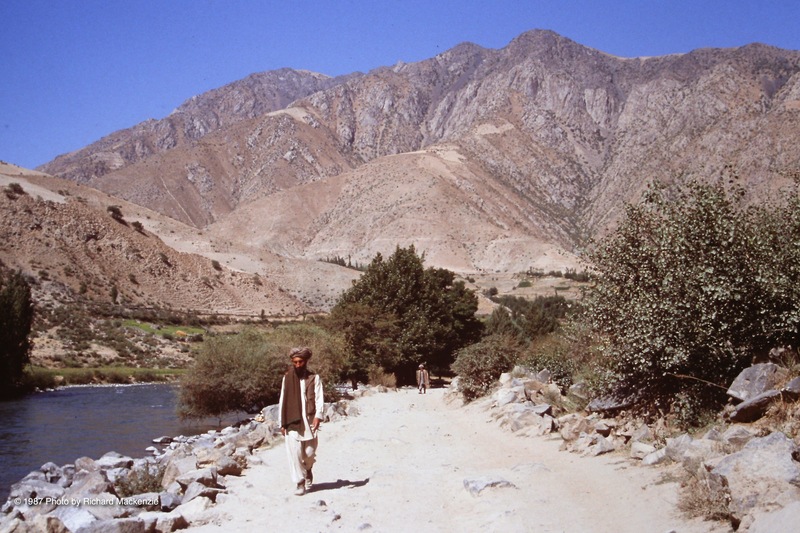 Autumn approaches the Panjshir Valley in Afghanistan in 1987. 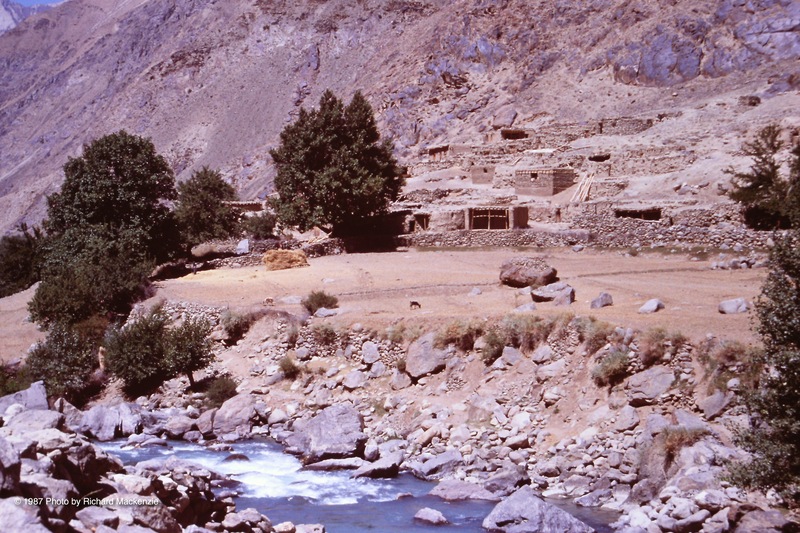 In the far north of the Panjshir Valley, the river begins to roar south. This entry was posted in Ahmad Shah Massoud, Dr. Abdullah, Panjshir River, Panjshir Valley, Rahman Baig, Saranwal Mahmoud Khan. Bookmark the permalink.